Hamachi is an application allowing distant computers to create a virtual local network (VPN) safely, as if they were situated on the same physical connection. Hamachi does not ask for sharp knowledge to create its own virtual private network and works with an open architecture.It is capable of working through networks using the translation of addresses (NAT) i.e. it works even with computers behind routers or firewalls. Attention, the version available on the download is for Windows. Once you have installed Hamachi , you will need to create a user-name which will help others to locate you on the Hamachi network. Click on the POWER ON/OFF button to activate Hamachi. 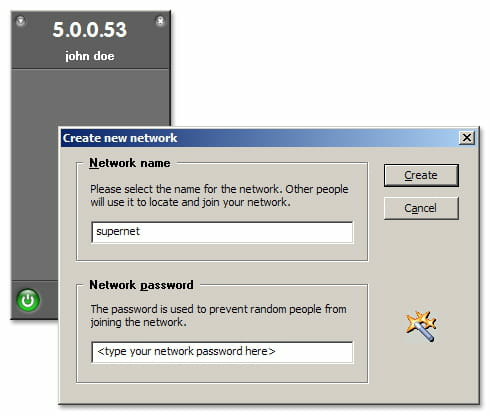 To join a network, just type the network name and the password. Click on "Create a network". Just give it a name and set password. 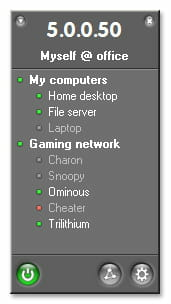 Just connect to one of these websites, search for the game of your choice and you will see a list of available networks. 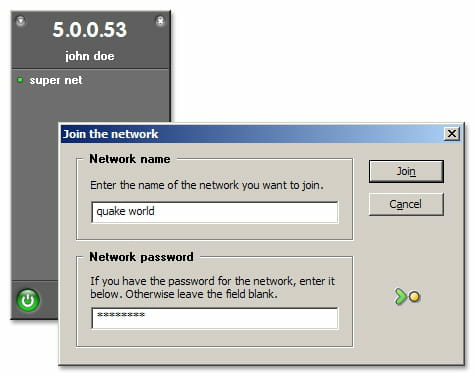 Select the network of your choice and click on the Join button. Double-click to add the new network to the Hamachi network list. Latest update on March 4, 2018 at 06:53 AM.